Armenia > Armenian > Armenian Ethnicity! What Is Ethnic Armenian? | Also Find Out What Other Ethnic Groups & Minorities There Are in Armenia! Armenian Ethnicity! What Is Ethnic Armenian? | Also Find Out What Other Ethnic Groups & Minorities There Are in Armenia! Share the post "Armenian Ethnicity! What Is Ethnic Armenian? | Also Find Out What Other Ethnic Groups & Minorities There Are in Armenia!" Armenian ethnicity is a unique topic that will interest those who are either interested in Armenian culture, history, or don’t know much about their dream country and its population they are planning to go. Are you among them? Then you are reading the right article! With 98% of its population being ethnic Armenians, the Republic of Armenia is one of the most ethnically homogeneous countries in the world. As minorities in Armenia do not form a huge part of the population, it’s very important for Armenians to treat all of them equally. So, we can surely say that ethnic minorities in Armenia live in a free, tolerant, and respectful environment. 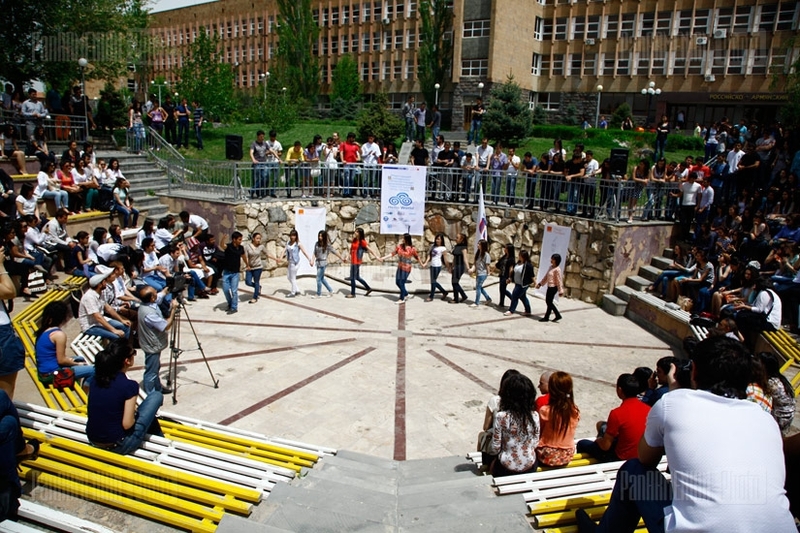 Ethnic groups in Armenia are engaged in educational, social and cultural activities on regional and state level. In a word, ethnic groups here are fully integrated into Armenian society at the same time preserving their language, culture and traditions. In case you knew Armenian language, we would highly recommend you to watch “A part of the whole”, a program about national minorities living in Armenia, about their legends, traditions, holidays, cuisine, religion, architecture and just people. But as you don’t know Armenian, we highly recommend you to read this article, learn a lot of new things about Armenian ethnicity, Armenian ethnic minorities and get the answers to important questions like “How do they live surrounded by a homogenous nation? Do they keep their identity and, if yes, how? Armenian Ethnicity | Who Are Armenians Ethnically? Armenians always feel a burst of national pride when they inform their foreign friends, colleagues or just tourists that just like Iranians, Egyptians and Greeks, Armenians are one of the oldest nations in the world. Armenians have had a presence in the Armenian Highland for over four thousand years. That is people have inhabited the Armenian Highlands since the Stone Age. The earliest record identified with Armenians is from the Armenic-Sumerian inscriptions around 2700 B.C. Here Armenians are referred to as the sons of Hayk, the legendary forefather of Armenians. Historians highlight that by the 9th century B.C. the ancient unified state of Armenia was Urartu, the strongest kingdom in the North East. Along with other tribes, people living in Urartu participated in the in the ethnogenesis of the Armenian people. In a word, Armenians represent a genetic continuum of at least 3500 years. So, it’s really difficult to find another ethnic group that is so uniquely diverse in genealogy and physical characteristics, mostly as a result of widespread ancestral origins. Fresh genetics studies explain Armenian diversity by several mixtures of Eurasian populations that occurred between 3,000 and 2,000 B.C. Meanwhile, the results of genetic studies have shown that the DNA samples of the Bronze Age individuals that have been found on the territory of Armenia, have a genetic portrait that is almost indistinguishable from the genetic portrait of people living today in Armenia. This means that unlike their neighbors, Armenians have stopped mixing with other nations retaining their ethnic and cultural homogeneity since the end of the Bronze Age. Today with a population of around 3 million, Armenians constitute an overwhelming majority of Armenian ethnicity and the de facto independent Nagorno-Karabakh Republic (Artsakh) (146.000 ethnic Armenians). You won’t believe but there are more Armenians in different parts of the world than in the Republic of Armenia. Currently there are around 10 to 11 million Armenians across the globe and the majority of them live, study and work outside their homeland forming the Armenian Diaspora. The largest Armenian populations today exist in Russia, the United States, France, Georgia, Iran, Germany, Ukraine, Lebanon, Brazil and Syria. With the exceptions of Iran and the former Soviet states, the present-day Armenian Diaspora was formed mainly as a result of the Armenian Genocide. Armenia is one of the few countries in the entire world that has a Ministry of Diaspora which is aimed at strengthening the ties between Armenia and the Diaspora, developing cooperation with non-governmental organizations, preserving Armenian national identity, revealing potential of the Diaspora, etc. People of “pure” Armenian ancestry used to have blue eyes and blond hair. Now it’s a bit difficult to believe in this because there is a small percentage of Armenians with these pure features within population. What Other Ethnicities Live in Armenia Except Armenian Ethnicity? There are around 30 000 000 Kurds in different parts of world. They are mainly in Turkey, Syria, Iran and Iraq. More than 1 000 000 Kurds currently live in Germany making it the only European country with so many Kurds. Kurds appeared in Armenia in 11-12th centuries. During Soviet Era, more than 80 000 Kurds resided in Armenia. Though their number has decreased to 40 000, the Kurds in Armenia are still the largest ethnic and religious minority in the country. Alagyaz in Aragatsotn Province of Armenia is a village mostly populated by the Kurds. The rural population is mostly occupied in agriculture and horticulture. The Kurdish intellectuals in Armenia, engineers, lawyers, doctors, scientists reside mainly in the cities and are active in public life. The Writers’ Union of Armenia has a department of the Kurdish writers of Armenia. Formerly the Institute of Oriental Studies, National Academy of Sciences, and now the Caucasian Centre for Iranian Studies and the Department of Iranian Studies at the Yerevan State University have been doing research on the Kurdish language, literature, History, Ethnography. At the Department of Iranian Studies there is the MA course on Kurdology. Beside the vernacular, all Kurds are fluent in Armenian, while the intellectuals also know Russian. With friendly Christian environment, Armenia and Georgia have become the homeland for Yazidis since 19th century. For Yazidis, one of the oldest nations in the world, it’s always been important to save their identity and stay true to their values. In Armenia 40.000 Yazidis feel at home and at the same time are lucky to retain their traditions, language, religion, mentality, etc. The Yazidis live in rural areas of Aragats, Armavir, Ashtarak, Talin, Artashat, Abovian, Echmiadzin, Masis, etc., as well as in the cities of Yerevan, Echmiadzin, Armavir, Ashtarak, Artashat, Gyumri, etc. There are some villages in Aragatsotn Province that are exceptionally populated by Yazidis. Their main occupation in Armenia is agriculture, horticulture and stockbreeding. The Yazidi intellectuals, journalists, lawyers, physicians are mainly city dwellers. Thanks to the emergence of NGOs, some members of the minority get involved into the public and political life of the country and its governmental structure. Yazidi people have their own lifestyle, which is unique, and which defines a part of their character. Yazidi girls can marry at the age of around 13, and boys, around 15. Besides Yazidi people do not marry people outside their class. The Republic of Armenia has always had the smallest percentage of Russians compared to the other 14 former Soviet republics. After the fall of Soviet Union many ethnic Russians left the country for better opportunities. Now many Russians leave for Armenia for better opportunities, mainly for commercial purposes. The thing is that Armenia is filled with Russian companies, schools, cultural centers, etc. Now “Beeline”, “MTS”, “South Caucasus Railway”, “Gazprom”, “VTB Bank”, “Rostelecom” are the leading Russian companies in Armenia. There are Russian schools named after A. Chekhov, A. Pushkin, Admiral Isakov and finally “Russian-Armenian University”. Though Armenian is the only official language, Russian is like a second mother tongue for many Armenians. There are Russian newspapers, TV and radio programs, books in Russian are published extensively in science, education, fiction, etc. In a word, Armenians and Russians have much in common. All these factors make the lives of 11,862 Russians more interesting, easier and funnier in the Republic of Armenia. The Molokans, a confessional group, descendants of Russian sectarians were persecuted in their homeland as they rejected the orthodox orthopraxy. Thus, Molokans were forced to leave for the remote areas in Siberia, the Altai, the Crimea and Central Asia. The term “Molokan” means “milk drinker”. The term refers to people who had the practice of drinking milk on the 200 fasting days. However, drinking milk was prohibited by Orthodox ecclesiastical authorities. Thus “Molokans” were regarded as neither Eastern Orthodox, nor Catholic, nor Protestant. They exiled from Russia to Transcaucasia in 18th century. Currently there are around 5,000 Molokans in Armenia who mostly live in Yerevan and Sevan, as well as in villages Fioletovo and Krasnoselsk. The Molokans of Armenia are educated at Russian-language schools. Beside their native Russian, they are fluent in colloquial Armenian. Today Molokans are mostly involved in agriculture and construction works. Women usually help their husbands and sell milk early in the mornings. They can be described as the quietest ethnic group in Armenia. For nearly two centuries Molokans retained their cultural and religious customs and traditions. The character and the traditions of this peaceful ethnic group in Armenia are well-impressed in their costumes and dresses. Men wear kosovorotka and a pullover shirt, which is worn over trousers. The latter is tied with a tasseled cord belt, which is called “payas”. Old men keep a long beard. Women are costumed with a head shawl, which is called “kosinka”. They wear long dresses, and are very humble. Most of all, they marry people of the same ethnic group. However, there are many Molokans who had departed from traditional lifestyle by getting higher education, doing research work, etc. Greeks of Armenia are mainly descendants of Pontic Greeks, who originally lived along the shores of the Black Sea and were mining workers invited in late 18th century to Armenia. According to 2001 census the Greek population in Armenia is about 3,409. Armenia’s Greeks, as in the whole of Transcaucasia, speak the Pontic dialect, an extension of the Ionic dialect of the Old Greek language. All Armenia’s Greeks are fluent in both Armenian and Russian. The main areas of Greek residence in Armenia are the canyon of Alaverdi and the Lori Highland, as well as the capital Yerevan, the cities Noyemberian and Gyumri. “Armenian Greeks” are mainly involved in agriculture, horticulture and handicrafts. They also make part of the skilled labor, particularly in copper mining industry. A significant percentage of Greeks living in Yerevan belong to the science and engineering community. They are also active in the public and political sphere. For example, the Vice President of the Armenian National Assembly and the spokesperson of Republican Party of Armenia is Eduard Sharmazanov, an Armenian politician of Greek descent. Assyrians, descendants of the ancient Assyrians and Babylonians who adopted Christianity in the A.D. 1st century have historic presence in Armenia since the time of the Russo-Persian war (2826-1828). The total population of Assyrians worldwide is 350.000. Before the breakup of Soviet Union there were around 6000 Assyrians in Armenia, but after the fall of USSR the population has been cut by half. According to the 2011 census, there are 2,769 Assyrians living in Armenia, and Armenia is home to some of the last surviving Assyrian communities outside the Middle East. The traditional economic activity of the Assyrians in Armenia is agriculture, gardening and viniculture though there are many intellectuals, including government employees among Assyrians. Practically all members of the Assyrian community are fluent in Armenian and Russian. So, it is even difficult to understand that the person you are speaking with is Assyrian and not Armenian. There has been a higher rate of intermarriage between the Assyrians and the Armenians. This tendency is also noted in the Diaspora with adjacent Armenian and Assyrian communities. 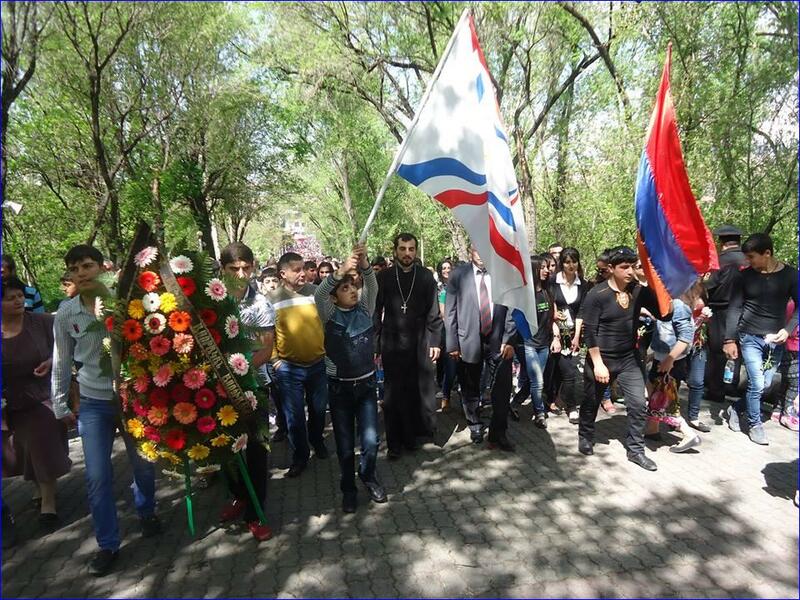 In a word Assyrians are fully integrated into Armenian society. Armenia is a homeland for them where they study, work, start a family and lead a peaceful life. Due to NGOs like “The Assyrian Youth Center “ASHOOR” and “The Assyrian Association “ATOOR” Assyrians keep close ties within the members of their ethnic group. The Jewish community in Armenia has its deep roots in Armenian history. The history goes back to 2000 years. During the 4th Century, AD, Jewish families were deported to Armenia. They settled in Artashat, Sarehavan, Vaghasabat, Sarisat, Van, Yervandashat and Nakhichevan. In the province of Vayots Dzor, in the village of Yeghegis, about 40 gravestones were discovered during the archeological excavations. The gravestones date from 1255-1497. There are inscriptions on the gravestones which indicate that the Armenian Jews settled in that region came from Iran (that time Persia). During Soviet times, Jews from Russian SSR and Ukraine SSR also moved to Armenia. The peak of Jewish population in Armenia occurred in that particular period of time. According to 1989 census, the number of Jews in Armenia was 676, while 2011 census shows this number has shrunk even more. As opposed to other ethnic minorities in Armenia, the community of Jews mostly includes engineers, researchers, military officials, etc. Jewish people are very loyal to their customs, and this religious loyalty is what defines them. They have interesting traditions, which are best expressed during religious holidays meant to bring joy and happiness or dedicated to the power of God. 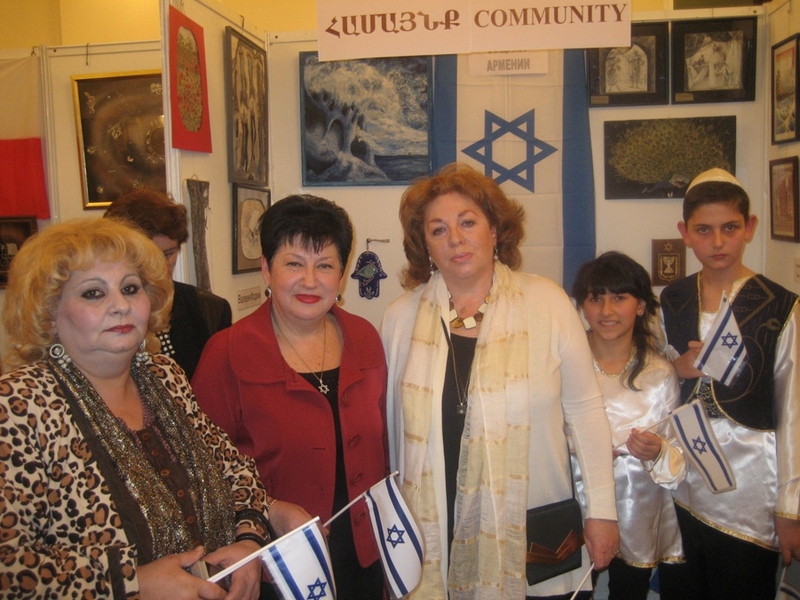 “Jewish Community of Armenia”, “Menora” cultural center” and “organization “Mordechai Navi” bring Armenia’s Jews together. The number of mixed marriages between Armenians and Jews has always been quite high. But the most striking thing about these mixed marriages is that Armenians believe that the kids of an Armenian and a Jew are the smartest. Garry Kasparov (World Chess Champion), Levon Aronyan (Grandmaster), Sergei Dovlatov (famous Soviet writer) prove that Armenians are quite right. Beside the minorities reviewed herein, there are representatives of other ethnic groups in Armenia as well, like Ukrainians, Georgians, Belarusians, Poles, Germans, etc. Also, to be noted are individual Lithuanians, Central Asians, Azerbaijanis, Tatars, Persians, Indians, Afghans, Arabs. Some of them have acquired residence permits as political immigrants or are in Armenia for long-term business purposes. Other Related Posts of Armenian Ethnicity! What Is Ethnic Armenian? | Also Find Out What Other Ethnic Groups & Minorities There Are in Armenia!